With this package, the cost of all Volkswagen recommended software updates to your vehicle’s entertainment and navigationsystems are covered (up to $500). C. A refund cheque of the amount paid for your contract/policy (inclusive of taxes) up to $1,000. 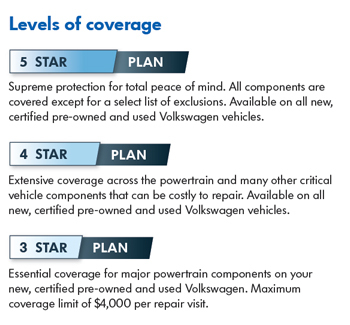 Consider these reasons to purchase Volkswagen Protection Plus Mechanical Breakdown Protection. • Fully backed by Volkswagen Canada Inc. – there is no comparison. 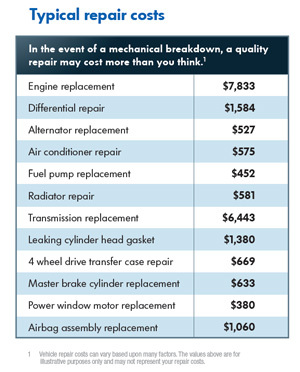 • Lock-in future repair costs with today’s money. • Make affordable monthly payments. • Quality new or remanufactured parts for your Volkswagen vehicle. • Experienced and licensed Volkswagen technicians to perform your repairs. • Coverage throughout Canada and continental U.S.
• Fully refundable within 60 days of purchase. • Valuable additional benefits including rental vehicle, 24 hour roadside assistance, and trip interruption commence at time of purchase. • Fully transferable to next private owner.